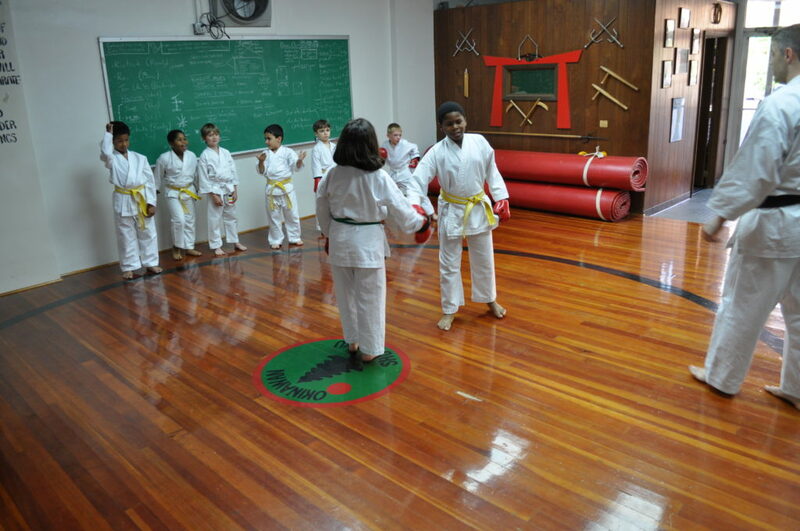 December was a big month at our school, as almost all of our members under Black Belt received a promotion. 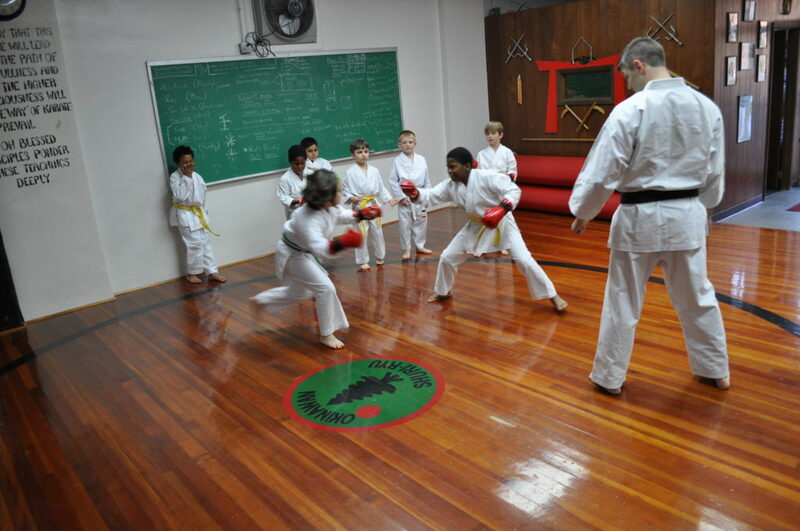 Most juniors had not received a promotion in almost a year, as they are required to learn the same material as the adults. All represented themselves well at the exam and passed. Congratulations to all!! 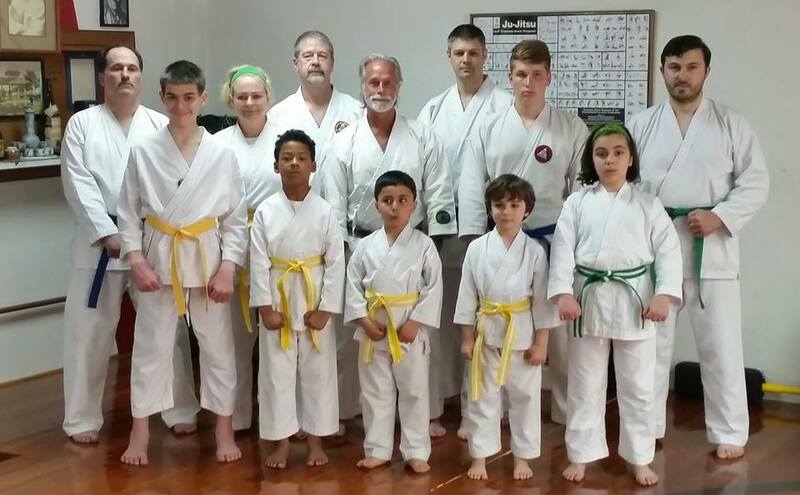 Congratulations to everyone on their recent promotions!!! 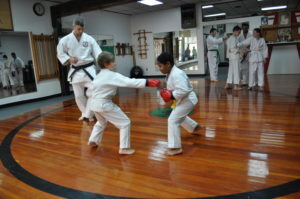 A lot of students from our “Kids & Family” class were in the review on April 15th. 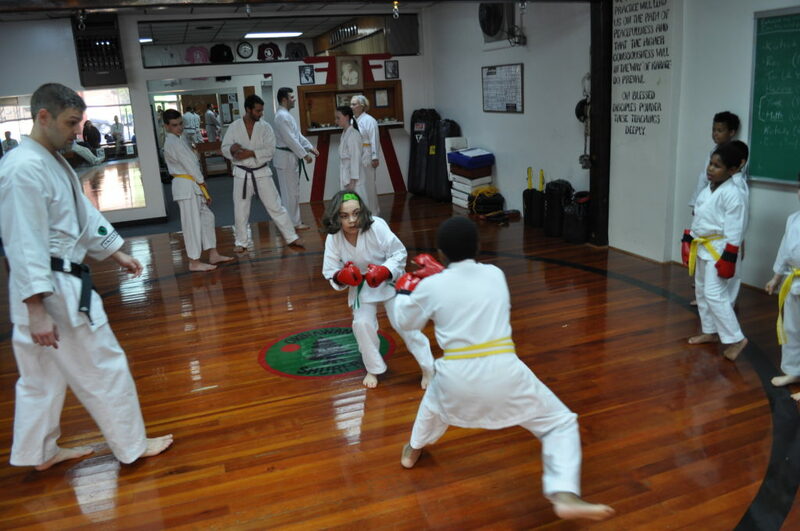 Akhmed Aushev made green belt, his daughter Selema was promoted to junior green, and his son Michael was promoted to junior yellow. 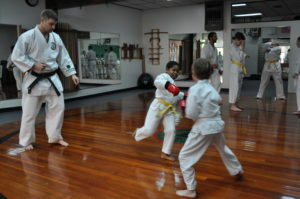 Becky Kelly was promoted to yellow belt and her son Reggie made junior yellow. 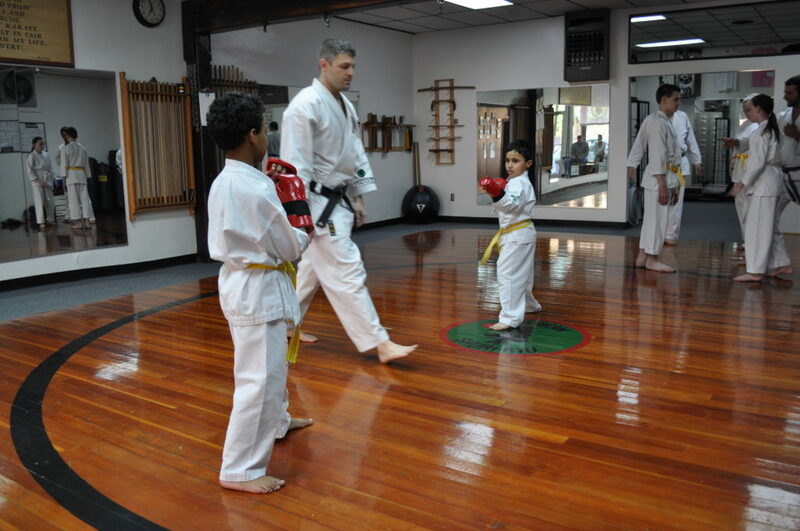 Daniel Mills made yellow belt and Aiden made junior yellow. 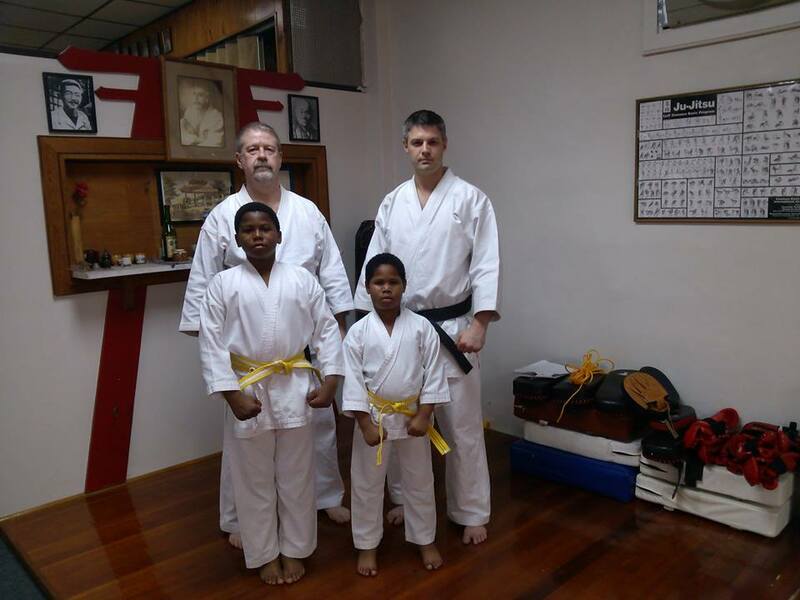 Brothers, Edward & Jalen, were not able to make the main review but completed their exam a few days later on April 24th. 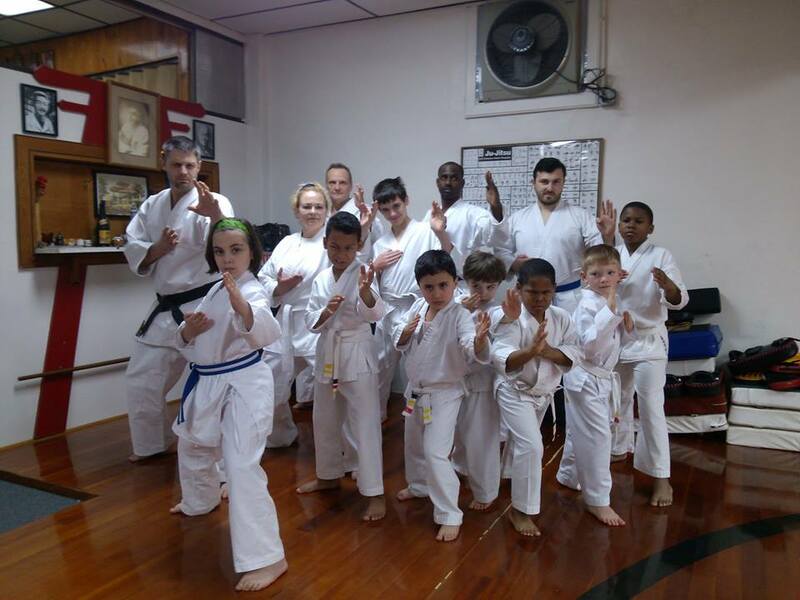 Tom Daugherty and Ben Spector, who regularly attend the weapons, adult basic, and advanced classes were promoted to blue belt. Great work everyone!!! Also, thanks to Mark Mills for the photos! 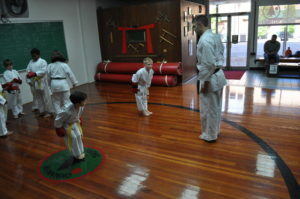 The kids gets serious about getting their promotion! 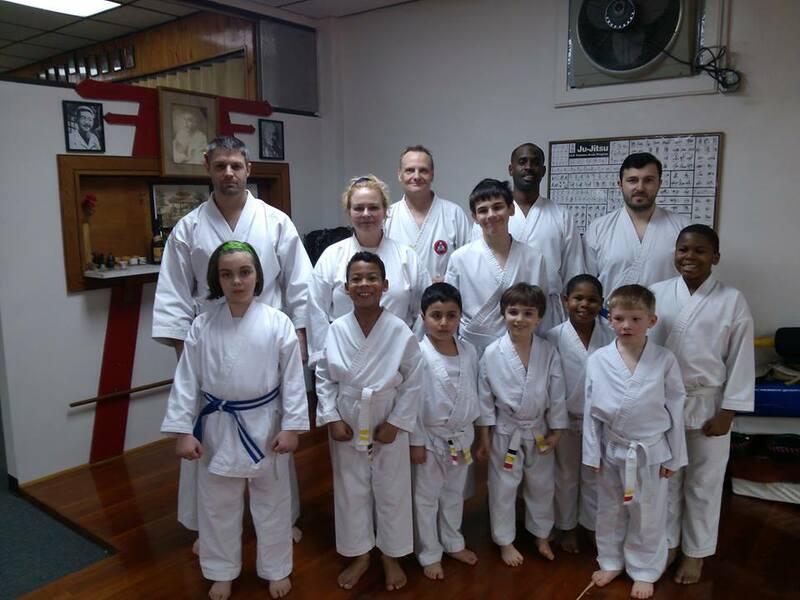 Congrats to Reggie, Aden, Michael, Jalen, Donald, and Edward who all earned their stripes Monday night in Kids & Family class. 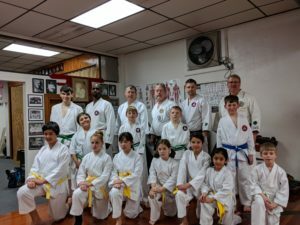 They have all been working hard towards making junior yellow belt in April, and it shows! 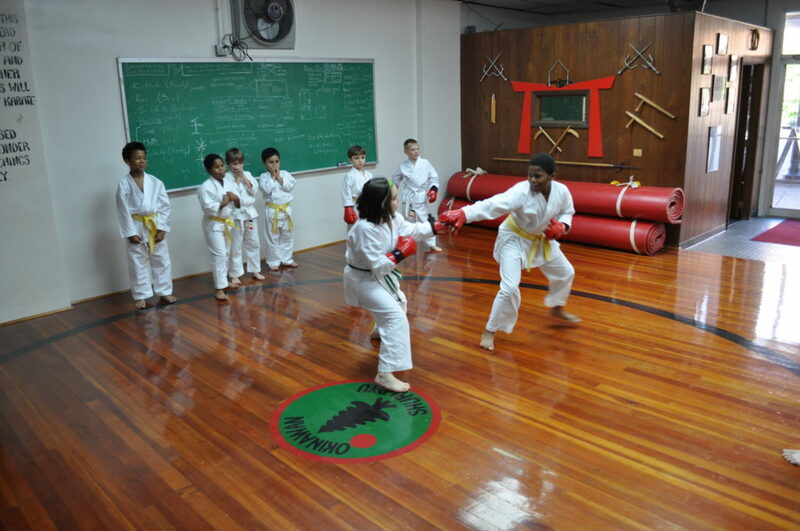 Thanks to all the assistant instructors and parents who have been working with the kids!